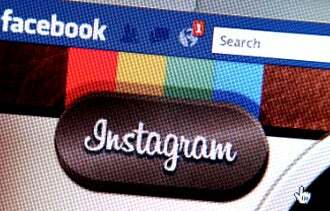 Photo-sharing app Instagram might not be the last technology startup social networking giant Facebook buys this summer. Where Instagram fills a need in Facebook’s efforts to improve photo sharing, the company is expected to buy up other small companies that compliment or improve its hold on the market -- especially before its IPO. Last week, Facebook agreed to buy Instagram for $1 billion in cash and stock -- or about 1 percent of Facebook’s presumed $100 billion valuation. While Instagram has yet to generate any revenue, the young company has developed an app that makes photo sharing fun and easy -- has more than 30 million users. While Akhavan and Saha are reluctant to discuss specific startups Facebook might be kicking the tires on, both agree on the types of services are highest on its priority list: ad optimization, data analytics and ecommerce. Facebook is said to be eying mid to late May for its blockbuster IPO. Until then, Facebook still has “plenty” of cash handy to make additional acquisitions as a private company, Akhavan says. UPDATE: Facebook acquired customer-loyalty application Tagtile April 13 for an undisclosed amount. Which startups do you think Facebook should be looking to acquire? Let us know in the comments below.